This entry was posted in Box Wines, Cabernet Sauvignon, Wine Reviews and tagged argentina, mendoza, tilia wine on December 6, 2011 by Roger. Is there a varietal that offers as good a value as Malbec? Bodega Elena de Mendoza Malbec 2010 is yet another very inexpensive but totally drinkable red wine from Argentina. It’s very juicy and jammy with blueberry and raspberry notes, and offers a tart, peppery finish. This entry was posted in Malbec, Red Wines, Wine Reviews and tagged argentina, bodega elena de mendoza, gallo, mendoza on November 26, 2011 by Roger. This entry was posted in Malbec, Red Wines, Wine Reviews and tagged argentina, mendoza vineyards on September 26, 2011 by Roger. From our perspective here at Box Wines, that trend makes a lot of sense. Malbecs are easy-drinking and usually (though not always) inexpensive. More importantly, it seems that even sub-$10 Malbecs are often quite drinkable. With the US economy still in recovery mode in 2010, good but inexpensive wines are a logical choice. And, lovers of boxed wine can enjoy Malbec, too. We found Vaca Morada Malbec in a 3 liter box – .at around $4 per bottle, it’s a great value. This trend was evident last year, too, as reported in Malbec Crushing Other Grapes. 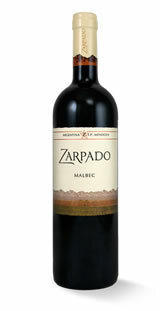 This entry was posted in Malbec, Red Wines, Wine News and tagged argentina, wine exports on February 9, 2011 by Roger. The hottest varietal in the U.S. wine market is Malbec, grown in Argentina and known for making red wines that are modest in cost and approachable in flavor. Here are a few Malbecs we’ve reported on. This entry was posted in Malbec, Red Wines, Wine News and tagged argentina on May 14, 2010 by Roger.